Our world is full of beautiful and mysterious places to visit before you die. However, there are so many must-see places than one life just won’t be enough to visit all of them. If you would like to be the one of those who can be proud of seeing at least some of the most interesting sites of the world, then we offer you to use this virtual tour as your guide. a number of smaller sidewalks and valley pyramids. The Great Sphinx is located on the east side of the complex facing east. Pyramid of Cheops is the largest of the Egyptian pyramids, the only one of the “Seven Wonders of the World”, which has survived to the present day. The original height of the pyramid – 146.6 meters, but due to the loss of the earthquake crowning granite “pyramidion” unit decreased by 9.4 meters and is 137.2 meters. The length of the side of the pyramid is 230 meters. It is composed of about 2.3 million cubic meters of stone. The average weight of the stone – 2.5 tons, but there are larger ones, which weight – 15 tons. 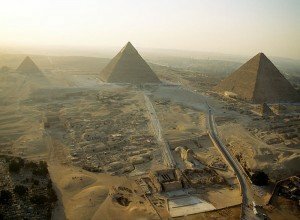 According to one legend, the pyramid was built in the XXVI century BC by Pharaoh Khufu (2590-2568 BC), his Greek name was “Cheops”. According to Herodotus, 100,000 laborers were building a pyramid for about 20-25 years. The circumstances and exact time of the construction of the Sphinx still remain mysterious. Beginning in the 1950s in the popular literature dating of the Sphinx during the Old Kingdom began to be questioned. It has been argued that the lower part of the Sphinx is a classic example of the erosion caused by the prolonged presence of a stone in the water. Last time the appropriate level of precipitation was observed in Egypt at the turn of the IV and the III millennium. BC. that according to supporters of this theory, points to the creation of the statue in the pre-dynastic period, or even earlier. Interesting: Over the years, the Sphinx appeared buried in the sand up to the shoulders. In 1817, the Italians managed to clear the sand from the entire breast of the Sphinx, and he was completely freed from the sand deposits in 1925. Located on the border of Zambia and Zimbabwe the waterfall’s width is about 1800 meters, its height is 128 meters. Scottish explorer David Livingstone visited the Falls in 1855 and named it in honor of Queen Victoria. The waterfall is located approximately in the middle of the flow of the Zambezi River. Above the waterfall the Zambezi flows along a flat basalt slab in a valley bounded by low hills and sparse sandstone. In the course of the river there are islands, which number increases as you approach the waterfall. The waterfalls itself was formed in the place where the Zambezi plummets into a narrow crevice. Numerous islands are divided on the crest of the waterfall, forming ducts. Over time, the waterfall receded upstream gnawing more and more crevasses. 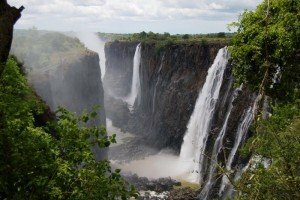 Why should you visit Victoria Falls as one of the must-see places? First of all, it is approximately two times higher than the Niagara Falls and more than two wider than its main part (“horseshoe”)! The falling water spray and mist forms, which can be raised to a height of 400 meters and above can be visible at a distance of 50 kilometers. Waterfall was hardly visited by people for as long as in 1905 the railroad was built there. After this, it quickly gained popularity and kept it until the end of British colonial rule. On the Zimbabwe side the tourist city appeared. At the end of 1960 the number of tourists has decreased due to the partisan struggle in Zimbabwe (Rhodesia). Interesting: Zimbabwe’s independence in 1980 brought relative peace, in the 80s there was a new wave of tourism. By the end of the 90’s almost 300 thousand people visited the falls each year. 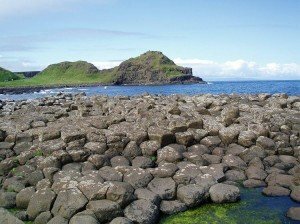 Giant’s Causeway is an area where there are about 40 thousand interconnected basalt columns, formed as a result of an ancient volcanic eruption. The road is located on the north-east of Northern Ireland, about 3 km north of the town of Bushmills. The tops of the columns form a shaped ramp, which begins at the foot of the cliff and disappears below the sea surface. Most columns are hexagonal, although some have four, five, seven and eight corners. According to the legend Finn MakKumal, who decided to fight against the monstrous one-eyed opponent Gaulle, didn’t want to soak his feet and that’s why he hammered into the bottom of the Irish Sea a series of columns and built a bridge. Gaulle himself passed over the bridge and came to Finn. Finn’s wife, pointing to her sleeping husband, lied, saying that he was her baby. Moreover, she has treated him with cakes with iron pans baked inside and when the giant began to break his teeth, the woman gave the second cake, simple one to “the baby-Finn” who quietly ate it. He imagined what the giant could be the father of this rather big “baby”, Gall ran away in fear, destroying the bridge on the way. Giants Causeway won worldwide fame in the late XVII century. And the first tourists came here in the XIX century. Now tourists can walk on the basalt columns about a kilometer along the coast. The highest one is about 12 meters. Interesting: The road has been declared World Heritage by UNESCO and considered to be the national reserve. This is the most popular tourist attraction in Northern Ireland. Teotihuacan is a ghost town, which is situated 50 kilometers north-east of Mexico. The researchers have determined the area of ​​the ancient settlement, which is 26-28 square km and the population – about 100 thousand people. This is the first major city in the western hemisphere, which is about 2 thousand years old. Teotihuacan is the name of an Aztec origin, which means that we do not know the real name of the city. 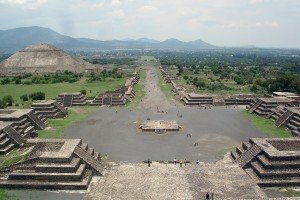 Teotihuacan was abandoned in the middle of VII century, and it is still unknown, which mysterious civilization was there, no information about its culture and the reason made its inhabitants leave this place. During the heyday of Teotihuacan more than 150 thousand people lived here. Aztecs who came later found only majestic ruins and called this a place of transformation in God. One of the highest buildings is Pyramid of the Moon (40 meters). In its depth, archaeologists found the burial chamber with the remains of 12 human bodies. All of them had their hands tied behind their backs, but 10 of them were beheaded and thrown into disarray in the middle of the chamber. Scientists theorize that they were enemies of the inhabitants of Teotihuacan. Two other victims, apparently, belonged to the local elite, as they had necklaces made of imitation of human jaws and other signs of high standing. The bloody ritual was performed during a substantial restructuring. Apparently, it symbolized the growing religious and political influence of the city-state. This is proved by was the center of the chamber, which has a large mosaic of jade, surrounded by 18 obsidian knives. According to scientists, these animals were symbols of warriors (military alliances). Pyramid of the Sun, built around 150 BC, is a 5-tiered structure with a flat top, which was once a small temple. The height of the pyramid is more than 60 meters, and the length of the sides of the base is about 200 meters each. Interesting: The construction of the pyramids continued over 20 years and at least 20 thousand people worked there. Alhambra is a Moorish architectural ensemble consisting of a mosque, palace and fortress. It is located in southern Spain in the eastern part of the city of Granada. The name Alhambra (Arabic for “Red Castle”) comes from the color of sun-dried clay or bricks, which the castle walls are made from. Some historians believe that the name comes from the founder of the castle – Muhammed Ibn Al Ahmar. decoration of towers and construction of baths. The main task of the architects of the Alhambra was to cover every square centimeter of the buildings with beautiful decorations, regardless of size. Here you can see classical Arabic calligraphy. 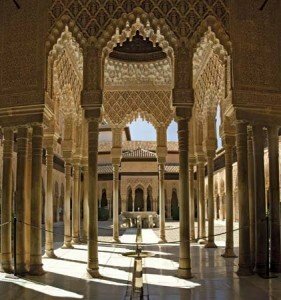 Interesting: Nowadays Alhambra is a museum of Islamic architecture, which attracts thousands of tourists from around the world. This is the most lively part of Las Vegas. Here you will find the most luxurious casinos, hotels and entertainment venues. History of Las Vegas is the following: In the first half of the XIX century caravan bound for Los Angeles lost its way in the Mojave Desert. Under the relentless sun they were lucky enough to find an oasis. 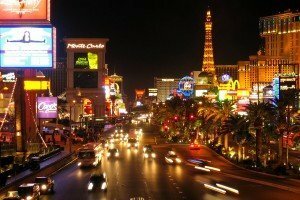 Hence the name “Las Vegas”, which is translated from Spanish like “the meadows”. Interesting: In the 1950s, Las Vegas has begun to attract tourists with the very unusual sight: just 100 km from the town at Nevada there was nuclear testing. “Mushroom cloud” of explosions could be observed directly from the rooms of Las Vegas hotels. Great Mosque was built when King Hassan II was the ruler in 1993. It is located in Casablanca on the ocean. The height of the minaret of the mosque is 200 meters. It is the tallest religious structure in the world. The minaret is 30 meters higher than the famous pyramids of Cheops and Cathedral of St. Peter at the height of 40 meters. Simultaneously 20 thousand people can pray there. The total cost of construction was approximately $ 800 million. And all these were donations of the religious people. 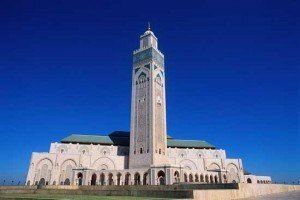 Why is Mosque Hassan II worth visiting? First of all, it is one of the few religious buildings in Morocco, which can be visited by non-Muslims. Inside the prayer hall is decorated with 78 columns of pink granite, the floors are covered with slabs of marble, gold and green onyx floor is heated in winter, and the central part of the roof can be moved apart. After paying 100 dirhams (about 10 US dollars), anyone can get inside and take photos. Interesting: The architect of the mosque – Frenchman Michel Pins – was not a Muslim. a huge bowl of the stadium “Maracana”. 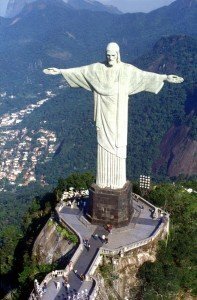 The exact dimensions of the statue of Christ the Redeemer are: height – 38 meters, including the pedestal – 8 meters; weight – 1145 tons; hand span – 30 meters. At the top there is an electric railway (the first in Brazil). It was built long before the statue of Christ, in 1882-1884, and later played an important role in the construction of the monument: construction materials were delivered on it. To get to the statue, you can also drive on the highway passing through the Tijuca national park. Tijuca is the largest forest area in the world, located in the city. In 1921, the approaching centenary of National Independence of Brazil (1822) was inspired by the mayor of Rio de Janeiro to build a monument of Christ the Redeemer, which construction lasted for about 9 years. The original sketch of the monument was designed by Carlos Oswald. It was he who suggested depicting Christ with open arms in a gesture of blessing, paternal figure from a distance would look like a huge cross. Interesting: October 12, 1931 is the date of the grand opening and consecration of the monument, which has become a symbol of Rio de Janeiro. Mont Saint-Michel is a small rocky island, mountain, turned into an island fortress, located on the northwest coast of France. It is the only inhabited of the three granite formations of the bay of Saint-Michel. City on the island is 709 years old. Currently the population is 80 people. Since 1879, the island has been connected to the mainland by a causeway. The island is a granite formation of about 930 m in diameter and a height of 92 meters above sea level. Mont Saint-Michel is famous for Benedictine Abbey built in the XI-XIV centuries. Abbey occupies an area of ​​about 55 000 sq. m and is a well-preserved example of a medieval fortified French monastery. The abbey is still there. About 50 Benedictine monks live there. Today it is a place of pilgrimage. Abbey attracts tourists all over the world as a living legend, according to legend, the biblical battle of the Archangel Michael with Satan in the form of a dragon took place here. Mont Saint-Michel is the most popular tourist site in Normandy. Every year the island is visited by about 3.5 million people. In France, Mont Saint-Michel is inferior in popularity only to the Eiffel Tower and Versailles. 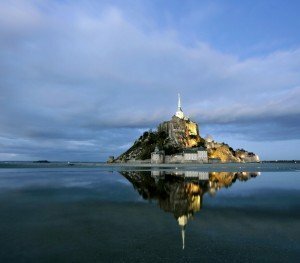 Interesting: Mont Saint-Michel is also mentioned in the legends of King Arthur, which say that Arthur slew a giant who lived here and in the thick walls of the abbey there is the Holy Grail. The National Park was named after the nearby town of Carlsbad, which, in turn, is the namesake of the famous town in the Czech Republic. 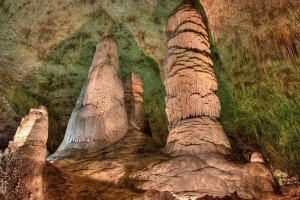 The main attraction of the park is Carlsbad Cavern, which is 250 million years old. Eventually the sea evaporated, and the reef was buried under the mass of salt and gypsum. Today’s view of Carlsbad Caverns with stalactites, stalagmites and an incredible variety of other shapes began to form more than 500 thousand years ago after a large part of the cave has already been formed. Carlsbad Caverns Research continues up to the current time. 16 species of bats inhabit the park. “Carlsbad Caverns” National Park is open year round, but most visitors come here in summer. Interesting: Tourists are allowed to go down into the cave to a depth of 230 meters.